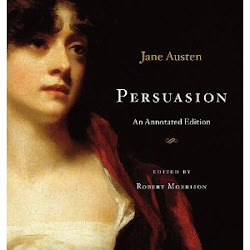 Jane Austen Today: My Top Ten Jane Austen Inspired Summer Reading Bargains under $6.00! 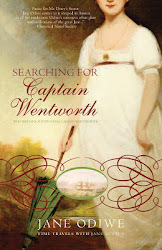 My Top Ten Jane Austen Inspired Summer Reading Bargains under $6.00! Here’s your chance to stock up on Austen inspired summer reading for a pittance, from my list of top ten sequels for less than $6.00 each. Enjoy! It’s time to reread this perky, quirky novel in preparation for Rigler’s parallel novel, Rude Awakening of a Jane Austen Addict due out this June. (Publishers description) After nursing a broken engagement with Jane Austen novels and Absolut, Courtney Stone wakes up to find herself not in her Los Angeles bedroom or even in her own body, but inside the bedchamber of a woman in Regency England. Who but an Austen addict like herself could concoct such a fantasy? Not only is Courtney stuck inside another woman’s life, she is forced to pretend she actually is that woman; and despite knowing nothing about her, she manages to fool even the most astute observer. For her borrowed body knows how to speak without slaying the King’s English, dance without maiming her partner, and embroider as if possessed by actual domestic skill. But not even Courtney’s level of Austen mania has prepared her for the chamber pots and filthy coaching inns of nineteenth-century England, let alone the realities of being a single woman who must fend off suffocating chaperones, condom-less seducers, and marriages of convenience. Enter the enigmatic Mr. Edgeworth, a suitor who may turn out not to be a familiar species of philanderer after all. ISBN: 9781615586943, $14.00 list price, $3.99 bargain price! If you happened to catch the BBC/PBS TV reality series Regency House Party, where modern day singletons are thrown together to live in the Regency era Manor house for weeks in hope of finding romance, then you will be one step ahead of Jane Hayes the heroine of this clever novel which gives readers the opportunity to take the ultimate Austen fantasy vacation at Austenland. Be prepared for a Mr. Darcy like gentleman to come with the package. YUM! 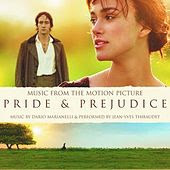 (Publishers description) Jane is a young New York woman who can never seem to find the right man — perhaps because of her secret obsession with Mr. Darcy, as played by Colin Firth in the BBC adaptation of Pride and Prejudice. When a wealthy relative bequeaths her a trip to an English resort catering to Austen-obsessed women, Jane’s fantasies of meeting the perfect Regency-era gentleman suddenly become realer than she ever could have imagined. Is this total immersion in a fake Austenland enough to make Jane kick the Austen obsession for good, or could all her dreams actually culminate in a Mr. Darcy of her own? ISBN: 9780641992674, $19.95 list price, $4.98 bargain price! 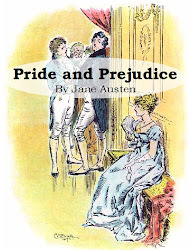 Few can refute Elizabeth Aston’s position as nonpareil in the Austen sequel publishing industry with six Pride and Prejudice sequels in six years under her bonnet! There is a good reason for her success. 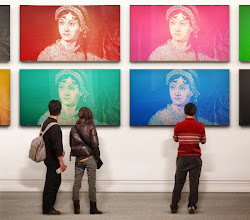 She writes engaging, creative stories that are respectful of Jane Austen’s original tone and characters, taking the reader into a new generation ready to experience courtship and life challenges in Regency England. 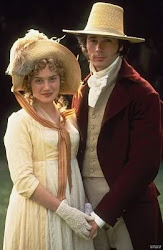 Mr. Darcy’s Daughters was Aston’s first effort and it aims to please Janeites! (Publisher’s description) Picking up twenty years after Pride and Prejudice left off, Mr. Darcy's Daughters begins in the year 1818. Elizabeth and Darcy have gone to Constantinople, giving us an opportunity to get to know their five daughters, who have left the sheltered surroundings of Pemberley for a few months in London. While the eldest, Letitia, frets and the youngest, Alethea, practices her music, twins Georgina and Belle flirt and frolic their way through parties and balls and Camilla -- levelheaded and independent -- discovers what joys and sorrows the city has to offer an intelligent young woman. Readers will delight in the return of such beloved Austen creations as Elizabeth's old nemesis Caroline Bingley (now Lady Warren), the ever-reliable Gardiners and wayward Aunt Lydia. Charming, beautifully written and full of societal intrigue and romantic high jinks, Mr. Darcy's Daughters is a tale that would please Austen herself. ISBN: 9780641916779, $14.95 list price, $4.98 bargain price! In this second sequel to a sequel! Aston continues the story of one of Mr. Darcy’s daughters Alethea, whose free spirit and musical talents take her on adventure that any young lady of Jane Austen’s era might have read about in a novel but never dreamed it could happen to her! (Publisher’s description) The Exploits & Adventures of Miss Alethea Darcy takes readers back into the imagined family of Elizabeth Bennet and Mr. Darcy. Their musical daughter Alethea makes a disastrous marriage to a man whose charming manners conceal an unpleasant nature. 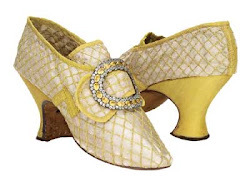 Flinging caution to the winds, she flees her marital home, masquerading as a gentleman, and accompanied only by her redoubtable maid, Figgins, she sets off for Venice to take refuge with her sister Camilla. But events -- always dramatic and sometimes dangerous -- conspire to thwart her plans. Before she can meet up with Camilla, chance and her love of music lead her into the world of Italian opera, while her encounter with the aloof and difficult Titus Manningtree, in Italy to pursue a lost Titian painting, is to change her life -- although fate has several more tricks to play before she can find happiness. 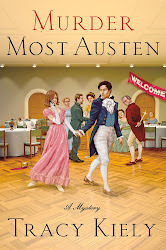 With wit, aplomb, and delectable style, Elizabeth Aston once again re-creates the world of Jane Austen, populating her novel with captivating characters firmly rooted in Austen's traditions but distinctly her own, resulting in another delightful comedy of manners, morals, and marriage. ISBN: 9780641713613, $14.00 list price, $4.98 bargain price! Did the title cause your heart to skip a beat in apprehension that the first Mrs. Darcy (Elizabeth Bennet) has died? Rest assured, the second Mrs. Darcy is not the wife of Fitzwilliam Darcy, but the widow of his cousin Christopher. Phew! (Publisher description) In the next adventure of the Darcy family from the author of Mr. Darcy's Daughters — is the story of a reluctant heiress who has been left a widow by Darcy's cousin Christopher. It is a truth universally acknowledged that a single woman in possession of a good fortune must be in want of a husband. So say the friends and family of impoverished widow Octavia Darcy when she unexpectedly inherits a fortune, but she has a different view and looks forward to a new life of independence. Escaping from the efforts of her half brothers and sisters to marry her off, Octavia goes to Yorkshire to find out more about the family she never knew, and while she is there she meets and crosses swords with landowner and politician Sholto Rutherford. When she returns to London to share a house with the dashing Lady Susan, Octavia, now secure in her new life, becomes caught up in the romantic problems of her niece. 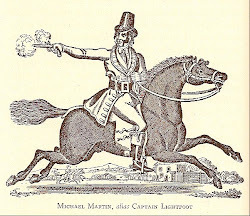 Then, the shadow of George Warren, the old nemesis of the Darcy family, falls over her, and she is threatened with the loss of both inheritance and reputation. ISBN: 9780641934735, $14.00 list price, $4.98 bargain price! Follow the story of the two daughters of Charlotte and Rev Mr. Collins, now elevated to Bishop! If that made you laugh, imagine what Mr. Darcy thinks of his wife’s odious cousin’s promotion! Luckily, his two daughters Charlotte a reputed beauty and Eliza who takes after her godmother Eliza Darcy are far more like their mother and aunt than their father! 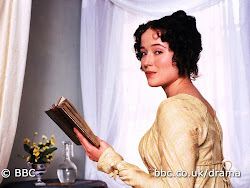 Like all of the books in the series, the Darcy’s are off stage with few communications, but their influence and Austen’s tone is strongly felt. 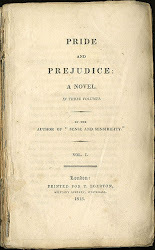 (Publishers description) In The Darcy Connection, Mr. Collins of Pride and Prejudice is now the Bishop of Ripon, living with his wife, Charlotte, and their two daughters, who have reached marriageable age. 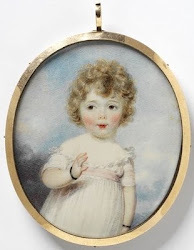 The elder, another Charlotte, is extraordinarily beautiful, and her parents hope her looks and connections will ensure a brilliant marriage. 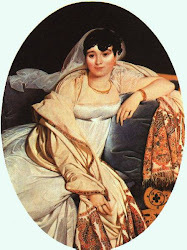 Her sister, Eliza, while not as handsome, possesses a lively intelligence that, in Mr. Collins's opinion, is too like her godmother, Mrs. Darcy. In London, Charlotte's beauty wins her many admirers, despite her small fortune. But Eliza's wit and attempts to interfere in what she considers an unsuitable marriage for her sister infuriate her family and Charlotte's suitor -- until Eliza herself meets her match. New and old fans alike will relish this witty, romantic, thoroughly entertaining novel from a highly talented author. ISBN: 9780641986345, $14.00 list price, $4.98 bargain price! 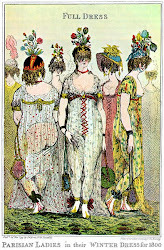 In this contemporary retelling of Jane Austen’s novel Sense and Sensibility, author Rushton cleverly adapts the story of two sisters with diverse personalities – one passionate and one reserved – who face the challenges of sudden poverty and diminished social status in totally different ways, all in the hope of finding love and happiness. This Yong Adult novel may lack Austen’s subtle wit and pathos, but did you really expect it? 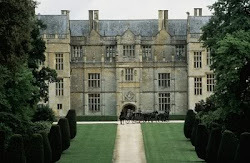 (Publishers description) The Walker sisters have always lived a privileged life in their beloved Holly House in Sussex. Even though their father, Max Walker, has left the family to live with his new macrobiotic-food-obsessed trophy wife, Pandora, he has always doted on his girls. But then one day, reality crashes down around them when Max has a heart attack and passes away, uncovering the truth that he was knee deep in debt. The Walkers discover that their home is actually in Pandora's name and she decides she wants it back. 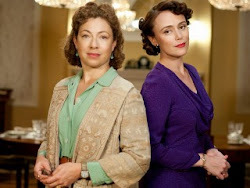 So the family has to uproot their lives and move to the seaside town of Norfolk in an old cottage. What happens then? ISBN: 9780641942938, $8.99 list price, $3.98 bargain price! It all began in 1914, when the first Jane Austen sequel was published! A must-have for every Jane Austen enthusiast, this is your chance to snap up this classic novel at an incredible price and read an amusing and witty sequel that includes characters from all of Jane Austen’s novels. (Publishers description) Originally published in 1914, this charming and original sequel to the novels of Jane Austen intertwines the lives of the most beloved characters from all six Austen novels with new characters of the author's devising. 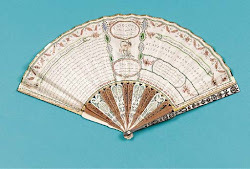 Inventive matchmaking leads numerous pairs of lovers through the inevitable (and entertaining) difficulties they must encounter before they are united in the end. Old Friends and New Fancies is a gratifying read for any Jane Austen enthusiast. ISBN: 9780641999710, $14.95 list price, $5.98 bargain price! 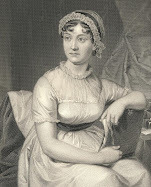 Jane Austen’s friendship with her sister Cassandra was the most important relationship in her life, and her fictional sisters are as devoted and dependent on each other’s happiness as she and Cassie. 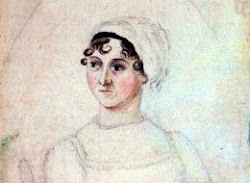 Dawkins continued the story of Jane Austen’s famous fictional sisters Elizabeth and Jane Bennet from Pride and Prejudice in her first novel in the series Letters from Pemberley. 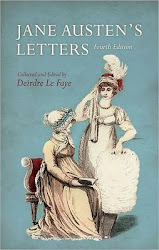 Now in More Letters from Pemberley, a sequel to a sequel, we are privileged to read letters from Elizabeth to Jane during the next five years of her marriage to Fitzwilliam Darcy and as Mistress of Pemberley. If you enjoyed the charming first novel in the series, then this engaging read is sure to please. 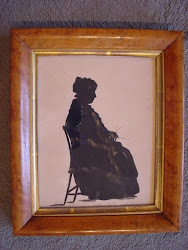 (Publishers description) More Letters from Pemberley continues the story of Elizabeth (Bennet) Darcy’s married life, picking up in 1814 and following this most popular of Jane Austen characters for another six years to the twilight of the Regency period in 1819. Writing to her beloved sister Jane, the irrepressible Lizzie describes life as mistress of Pemberley and her relationship with the dashing Fizwilliam Darcy. Highlights include a Darcy family Christmas, the inevitable conflicts that might arise even in such an illustrious family and the happiness of the birth of an heir. 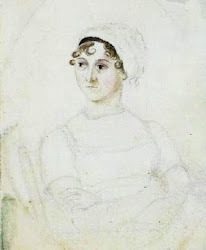 Again incorporating Jane Austen’s own words and characters from her other works (who appear here with different names, either associated with Austen’s life, borrowed from another of her novels or a word-play on their original name), Jane Dawkins has created another satisfying and entertaining tale. ISBN: 9780641999703, $13.95 list price, $5.98 bargain price! Don’t ask me to choose my favorite! Put me down for a dozen (smiles). This is a great blog I have found today. Thanks for sharing about Jane Austin. I'm a HUGE Jane fan and this blog was great! Thanks so much for giving me so many great sequels. I read over half the ones listed and LOVED them all!!!! !